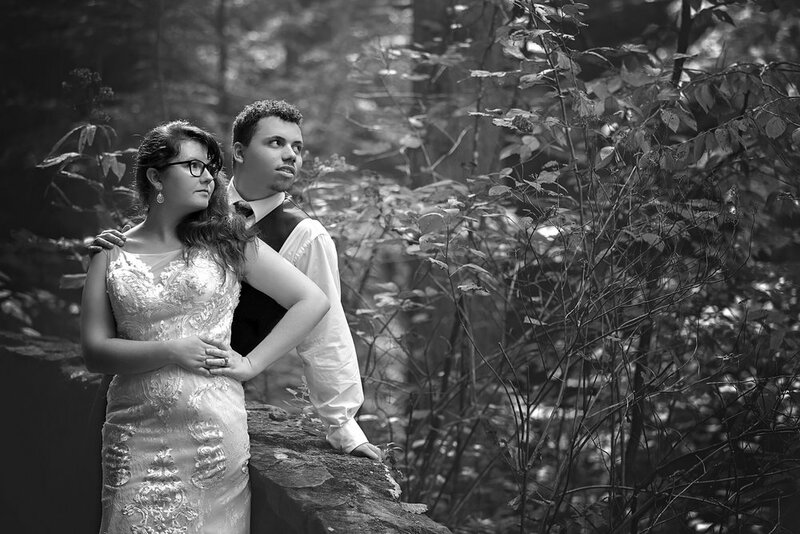 While Geri & Xavier were married on August 12th, we made the trek to Hocking Hills in early October to get some amazing shots of them as a couple and as a family, with sweet little Xavie (Xavier II). We hiked through three different parks (Conkle’s Hollow, Upper Falls at Old Man’s Cave and Cedar Falls) to get these amazing shots of this incredible couple. It was a long day, but I think we all felt very accomplished by the time we were done. I hope you enjoy.